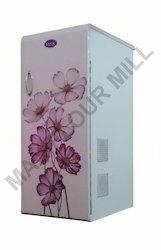 We are a leading Manufacturer of max prime flour mill from Rajkot, India. We prepare a good and finished product. • 305 mm width x 457.2 mm length x 762 mm height approx. • 50. Kg. Weight approx. • 1 & 8 stainless steal jelly set. • Plastic filter, stainless steel container, chamber cleaning brush, caster wheel. Looking for Max Moduler Flour Mill ?